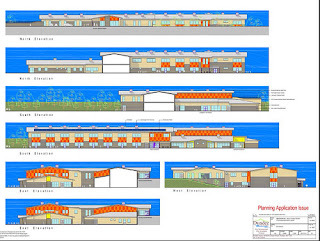 Towards the end of June 2015, the Capital Programmes Unit of the City Council submitted a planning application for the construction of a new 3 stream Primary School and a new 100 place Nursery School with associated access, car parking, landscaping and infrastructure in Menzieshill. The precise location is to the west of Earn Crescent and south of, Dickson Avenue in Menzieshill, Dundee. This proposed new school and nursery building will accommodate the combined Gowriehill and Hillside Primary Schools. Comments may be lodged with the Council by 18 July.